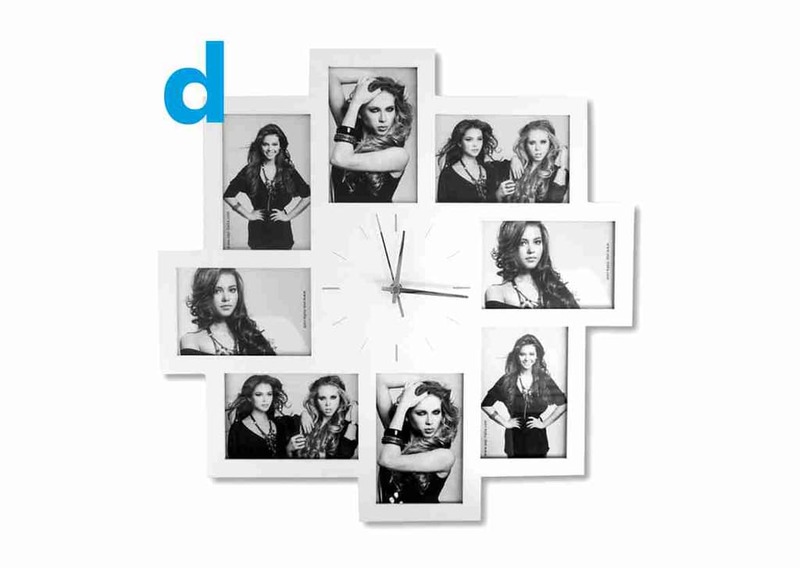 Photo collage white holder for 8 photos with clock, easy to customize. Original way to show up to 8 of your favorite photos. It has a hook on the back so you can hang it on the wall.